Throughout the year, we offer various promo codes, but since we do not have direct booking online, figuring out how to apply promo codes can be a tad confusing. 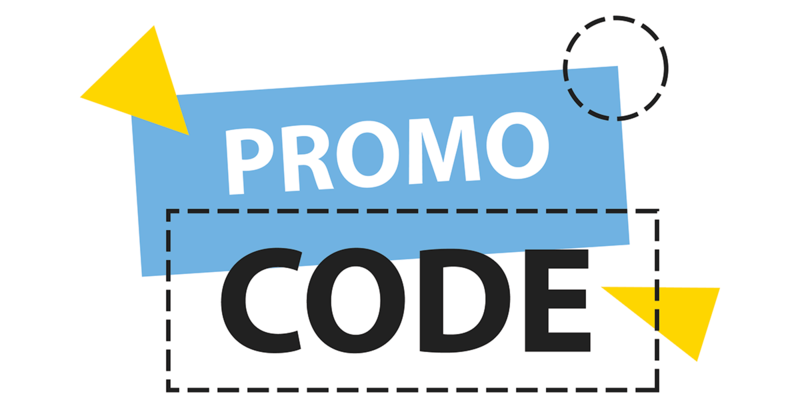 In this article, we will walk you through the process and explain how you can use your promo codes! The first step is to choose the vehicle that best fits your needs. If your promo code is not for a specific vehicle and you need help figuring out which vehicle you should select, check out our handy article here. 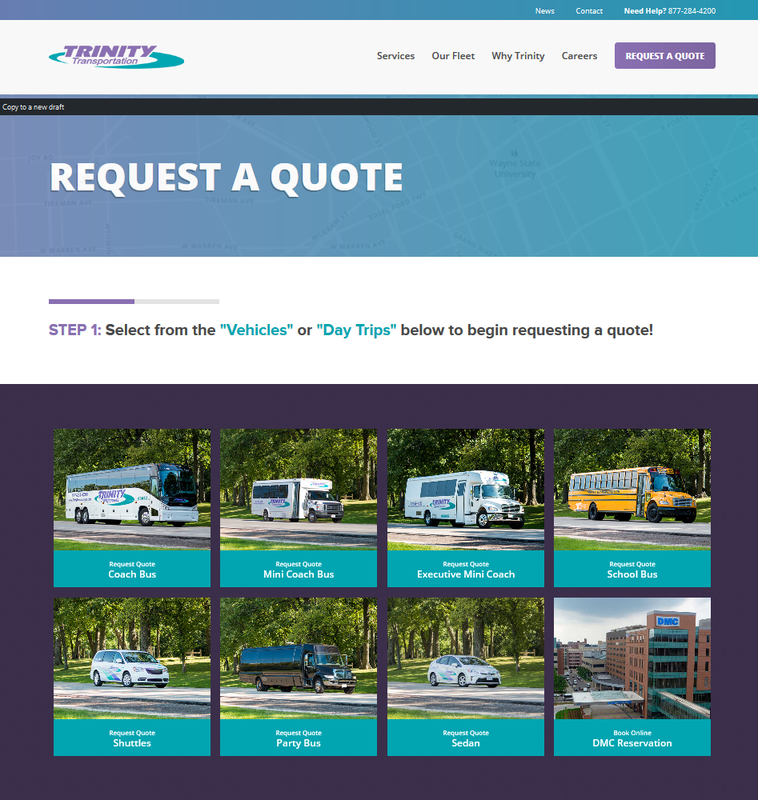 Once you have your vehicle picked out, head to our Request a Quote page. 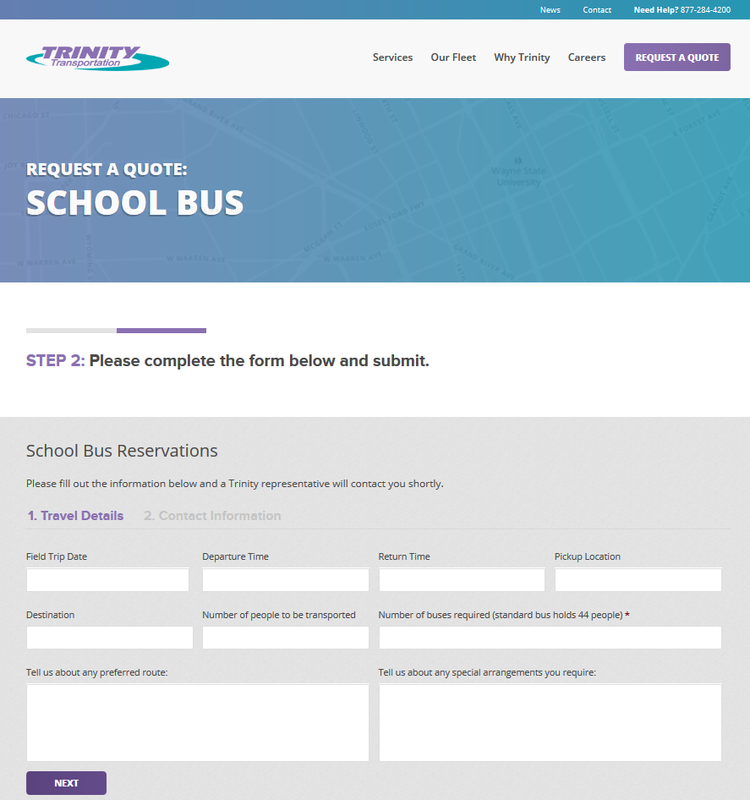 On this page, select the vehicle you would like to receive a quote for and you will be taken to a new page with a form to fill out. 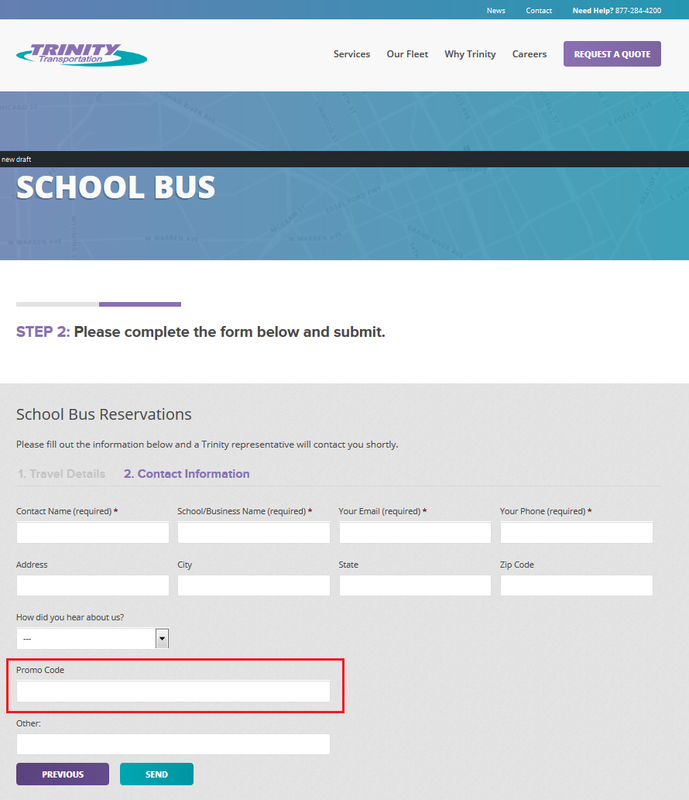 On the first page of the form, you will be asked for travel details. Once the information is filled out, click the “next” button. You will then be taken to the portion of the form where your contact information is requested. Also on this page is a place for you to enter your promo code! After you’ve input all of your information (and your promo code! ), click the “send” button and you will be all set! The form will be sent to our reservations department who will contact you regarding your trip. They will discuss the information from your form and our vehicle availability. For more on what to expect after you’ve requested a quote, take a look at this article.